Get ready for a dirty weekend with your mates! Its the meanest, muddiest, maddest and craziest side-splitting fun of Mud Muster. 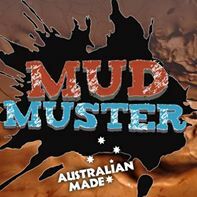 Test your mettle, conquer your fears and get your team together for Australia's home grown classic mass participation obstacle and mud event that has taken regional Australia by storm. We don't know of any upcoming events for Mud Muster. You can check out our list of past events and reviews below, or if you know of an upcoming race, add it to our calendar!